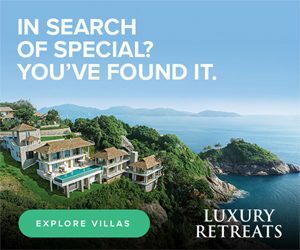 This is a sponsored post written by me on behalf of Avoya Travel. All opinions are 100% mine. Cruising offers a perfect balance of relaxation and adventure. Some of my happiest travel memories with family and friends are thanks to booking a fabulous cruise. As a frequent cruise goer, I know that January through April are the best months of the year to save big on cruises. Avoya Travel is my go-to website when I’m looking to find the best deals on cruises, as well as expert advice on the best cruise itinerary. From Miami to New York, there are currently some incredible last minute cruises departing from popular ports right now that are available on Avoya Travel’s website. After browsing, I’ve discovered discounts as high as 73% off which is truly unbeatable! There are endless options, which I love, so whether you want to go island hopping in the Caribbean or explore the last frontier of Alaska, there really is a cruise for everyone. The planning process is quite simple, and is actually perfect for those who do not have endless amounts of time to do proper research on their own! 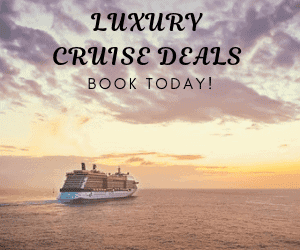 Simply visit Avoya Travel to see all of the last minute cruise deals for 2019. Once you discover a few that you’re interested in, you can call Avoya Travel directly or request to be contacted by Avoya Travel’s Customer Care team via phone or email to get the booking process started. I always found everyone at Avoya Travel to be very personable, knowledgable, and eager to make sure you have a fantastic experience before and during your cruise. Luckily, Avoya Travel will connect you with an Independent Travel Agent from the Avoya Network, who specializes in the type of vacation you are interested in, in order to help tailor that vacation to fit your needs. Their other priority, of course, is securing the best savings. Best of all, all this help is at no extra cost! In other words, you do not have to worry about any sneaky fees with Avoya Travel which is why I keep coming back to them. When it comes time to book my vacation, I always go through the Independent Travel Agent who does all the work with the travel company for you and secures not only exclusive deals but travel perks as well. 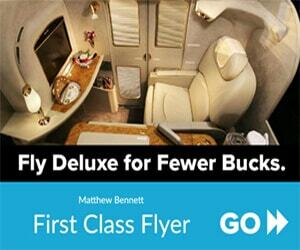 Many times, Avoya Travel’s exclusive travel deals are even better than booking direct. Why? They have established great relationships with the top travel companies for over 50+ years now. Being around in the travel industry for that long shows that they absolutely know what they’re doing. I like my planning to be as stress-free as my vacation, and Avoya Travel not only understands that, but caters to those needs specifically. Whether you’re ready to book a cruise now or six months from now, I highly recommend setting up deal alerts through Avoya Travel. It is completely free to do so and is easily done by email. Every so often, they will send you early access to limited-time promotions before they are open to the public. This is a great way to unlock unpublished rates and savings! Avoya Travel always works hard to create a vacation tailored to me, while keeping my budget in mind. So if you’re dreaming of escaping the cold for an exciting cruise in 2019, look no further than Avoya Travel! Carmen Edelson is the Founder of Carmen's Luxury Travel. Carmen has been traveling the world for over a decade. Our travels allows her the opportunity to pursuit her itch to travel to the best luxury destinations, and experience those first class tastes from around the world. Which Maldives Island is the One for You? What’s hardest about leaving on a trip? Wow, it seems like a great service! I really love the planning part of trips, but I can imagine it would be nice to just sit back and let someone else do the leg work! Yes, they really take all the stress out of planning a big cruise trip! Your photos are amazing….make me wish I am on a luxury cruise right now…. Me too! I love them. I was in NYC last year. Would love to go on a cruise next time I visit USA. Avoya travel seems like a great company to travel with. Yes, definitely check them out! Avoya travel seems to be the exception in the service industry. Nowadays the world is full of travel companies that try to sell you an overpriced tour package. It is good to hear that there still exist some companies who are concerned about the customer need and try to provide the best offer at minimum price. Yes, they absolutely are! Their personalized customer service is five-star as well. I wish I had the flexibility to take advantage of some of these last-minute deals! There are some amazing prices on their site for Alaska cruises, and I’ve been dying to go there. Sadly, I have to schedule my vacations too far in advance to have a shot at any of these. I totally understand, Kris! But their last minute deals aren’t the only way to save money, their prices are always competitive which is great. Cruise travel is always fun. If one has enough time, he should definitely go for it. Yes I totally agree, so much fun! I’m signing up for the Avoya Travel deal alerts. It’s great to know that there’s a place you can find last-minute deals and get some service to go with it. That’s very rare. Very rare! And that’s great to hear, Cindy! Let me know how you like it. I’ve never heard of that company before. We don’t usually do cruises as we’re backpackers but my parents love them so I will pass this on to them. They just got back from the Caribbean just a couple of weeks ago! Thank you so much for sharing, Nic! I appreciate it 🙂 Your parents sound awesome! I am an IA in the Avoya Network and I agree with everything you said about Avoya and it’s customer service! They really are top notch in terms of access to allllll the cruise lines, deals, promos, and otherwise helpful information. And, not only cruises, they have access to land tours and independent travel as well. That’s great, Tiffany! I’m so glad you agree. I’m Carmen...In this blog, I share my passion for travel and my insights on the most luxurious places to stay, the most delicious places to eat, and the most interesting destinations to visit in the world. Copyright © Carmen's Luxury Travel 2019 All Rights Reserved.